Well, I’m about to give you the opportunity to tell an equally annoying story, a way to tell people you’ve stepped foot on English soil even if you’ve never been to England. But you’re going to at least have to go to North Carolina. 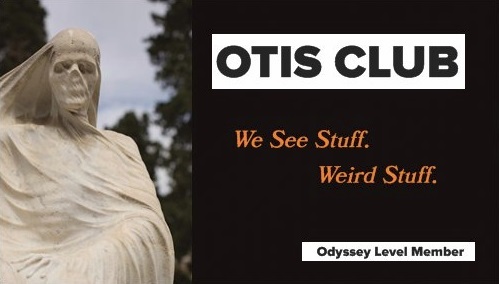 On the island of Ocracoke, that same fishing-rod-shape strip of land off which Blackbeard’s headless body swam laps, is a small cemetery. It has only four graves, and they hold the salty bones of English sailors. It was the early days of World War II. The attack on Pearl Harbor was a fresh wound and German U-boats were menacing our coasts. The Brits sent us a couple dozen ships to help us deal with those wet Nazis. One of the ships was the HMS Bedfordshire. Despite its official-sounding name, it wasn’t a warship at all, just a regular trawler that had been modified for combat with submarines. Basically, they stocked it with explosives that sunk. In May of 1942, a U-boat torpedoed it into flotsam. The entire 30-plus crew died, and most of them were lost to the underside of the ocean. 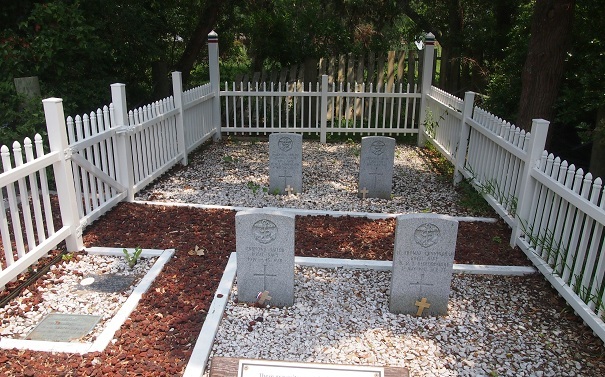 Over the next few days, though, four of those bodies washed up on Ocracoke and were respectfully buried in a donated portion of the island’s cemetery. 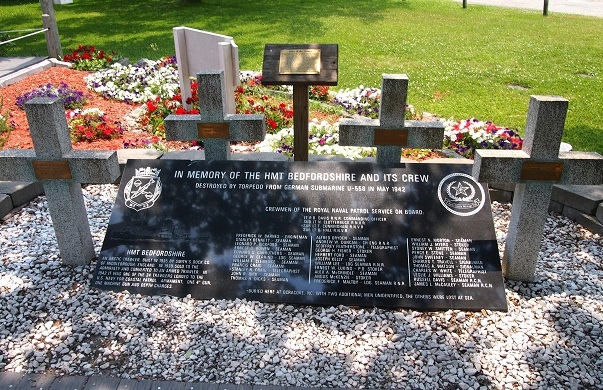 The small cemetery is tended by the U.S. Coast Guard, and every year they hold a ceremony at the spot to memorialize the crew of this ship. It’s attended by locals, representatives from the Royal Navy, and sometimes even the descendants of those ancient mariners who died on the far side of their ocean. Ocracoke is only reachable by ferry and, once you’re in the tiny town, best navigated by bicycle or golf cart. We did okay in our car, but there were only a few places to park near the cemetery. Signs directed us right to it, although we passed the small, overgrown Fulcher & O’Neal Cemetery on the way that confused us for a few moments. However, there was no doubt which one was British Cemetery once we saw it. It’s extremely well-marked and well-maintained almost to the point where it looks more like a garden then a graveyard. A white fence forms the border of this bit of Britain, and the ground around the headstones is pebbled with little white rocks. A large sign in—naturally—Old English font nestles on a bed of bright flowers. And a United Kingdom flag flies high above it all. 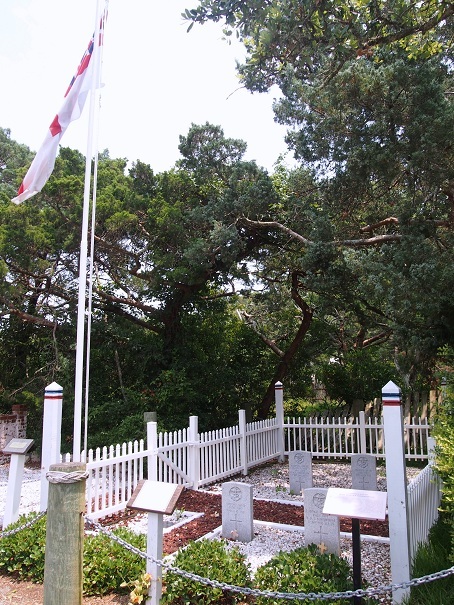 Adjacent to the British Cemetery is the original Ocracoke cemetery. Outside of its low brick walls is a single tall headstone. 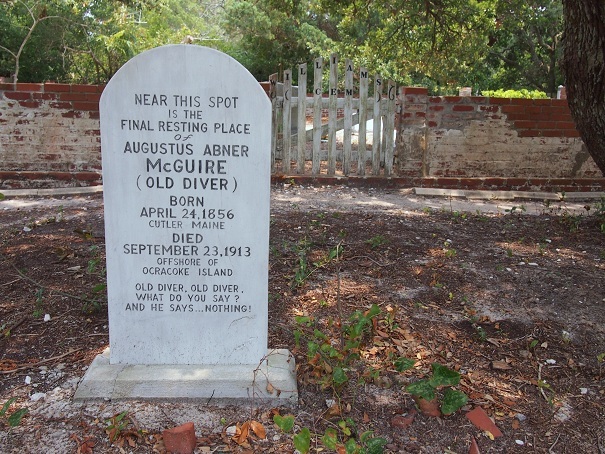 According to the epitaph, it marks the approximate spot of the remains of August Abner McGuire, known in urban myth as “Old Diver.” He died offshore in 1913 while repairing the hull of a ship. His original gravesite has been lost, and the current headstone is relatively recent. Its epitaph ends with, “Old diver, old diver, what do you say? And he says…nothing!” The phrase is part of a local ghost story. Kids would hide behind gravestones and call out the refrain to passersby. Pretty cool. 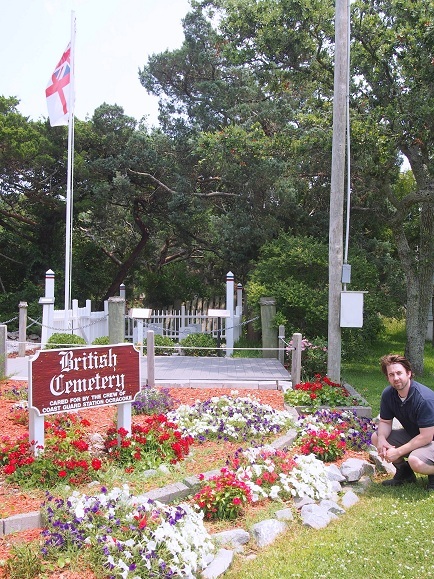 Back to the original topic, you’d think that, outside of Britain, British Cemeteries would be pretty rare. And you’re right, but it does so happen that North Carolina has at least two. The second I didn’t get a chance to visit, but it’s nearby on Cape Hatteras, on Lighthouse Road in Buxton. There you’ll find two more men transubstantiating U.S. dirt into British inside of a short white fence. There seems to be some confusion online as to the identities of these two seamen, but I’ll stick with the account on the National Park Service website. 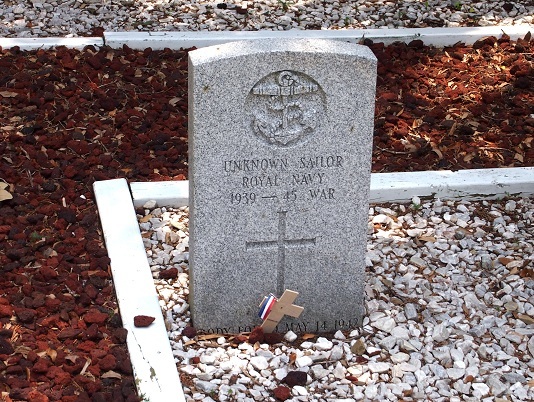 According to it, one is an unidentified shipmate of those in the British Cemetery on Ocracoke. The other is a mariner from the San Delfino, which was also torpedoed by German U-boats around the same time. These British cemeteries are surprisingly strong examples of how compelled we are by the sacrifice of strangers and a great way to honor it. But if you ever check them out, please go to England itself, too, at some point. Otherwise you’ll be fated to telling corny jokes and people will hate you.